Despite my usually lighthearted and comical nature, I am in somewhat of a somber mood and have decided to blog on something a bit more serious, or as some would say "deep" (no homo.) 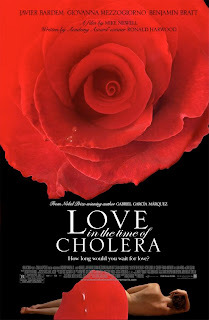 If cryogenicaly frozen and thawed in the twentieth century, Gabriel Garcia Marquez's Love in the Time of Cholera would translate more into Lust in the era of Venereal Diseases. While the exaltation of the emotions and senses over reason can be evinced through the pandemic of AIDS, thereby affirming that romanticism is not dead, the idea of romance itself certainly is. Since the publication of English poet William Wordsworth's Lyrical Ballads in 1798, in which poetry was described as an overflow of powerful feelings, much has changed, as odes to the beauty of humanity were slowly substituted for the harsh misogynistic realities of tip drills, making it rain and the proclamation of "Money over B**ches." At the risk of sounding like a punk, or hypocrite, as I often refer to respectable women as anything but, I can safely say that the idea of romance is effectively dead. Chivalry and courtly love have jumped out the window with Ron Browz (google: 'awful rap songs') and not even Sir Gawain (see: 'medieval knighthood') could bring it back. This being said, I am no f**king Sir Gawain. Ladies, wh*res and strippers alike...I'm bringing romance and chivalry back...Back"like a Brasserie hook (Carter, 2005)." Much of the disdain for courtship arises from the age old paradox which places women as either mothers or whores. The fact that many a baby mama can be seen as one in the same does not help this matter. What we as individuals must realize is that many of us men and women are overly materialistic and often rely on "taking care of someone" or "someone taking care of us" as a means to gauge our own respective self worth. Women stop goldigging and men will stop calling you gold diggers. Men, stop throwing money in the sky and expecting the women on all fours grabbing it to be anything but lap dogs looking for a faithful master to feed and shelter them (see mylifesaflic.blogspot, Shout out to Sami). This is not to say all women are gold diggers and all men are wannabe ballers, but rather that focusing on materialism and the physical manifestation of wealth will only lead to the death of romanticism and romance itself. Fellas...this isn't about being herbs, captain save-a ho's or suckers for love. Go ahead, tell her you want to f**k her, but do it because shes a beautiful Goddess of the earth, not because she has a Louis Vuitton Purse and Rock and Republic Jeans. Tell her you want to take all of that material Bullsh*t off and stare at her beautiful body unabashed. 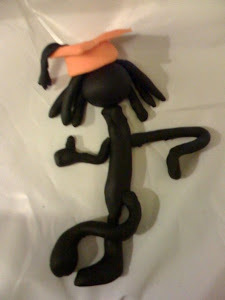 Recite her a rap song, because sheeeeit.....it's the new poetry baby! 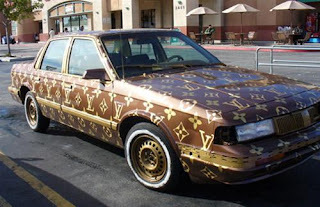 Women, tell him that you "donk" [sic] give a f**k about his car or Louis Vuitton sneakers! Tell him you want to tear through his Ed Hardy shirt, rip off his diamond chain and grab his tattooed chest. Straight like that. That's right people...this is the new romance. Just don't get too carried away and catch a case. Romanticism is not romance, and modern sensibilities have ceased being "modernist" decades ago. Is romantic love and chivalrous do-nicery culturally prepackaged subterfuges for sexual relaease and resultant babymaking? Still, bigger and better questions than this are asked by men greater, and less clumsily at that. Summary(? ): Romanticism isn't dead. It has just developed a serious sense of ironic detachment punctuated by the occasional worldweary sigh. Word. In reference to paragraph 2, See "Styles P: a Gangster and a Gentleman" or "Styles P: Super Gangster, Extraordinary Gentleman"
Love and romantic touch has been improved for the full use of the norms for the humans. The provision of the ambit that www.superiorrpaperss.com has been chanced with the help of the true and actual term for the use of the lovable items in life.